Shambria Washington hit the go-ahead three-pointer late on Sunday, sending Texas A & M into the women’s NCAA “Sweet 16”, knocking off the Marquette Golden Eagles 78-76. Marquette led 76-74 with 36 second left before Washington (13 points-six assists) drilled the game-winning three-pointer with 23-seconds left. Aggies star Chennedy Carter poured in 03 points to help the fourth-seeded Aggies (26-7) advance. They’ll meet the winner of Monday night’s game between Michigan State and Notre Dame in Chicago on Saturday. Carter added nine rebounds and five assists. 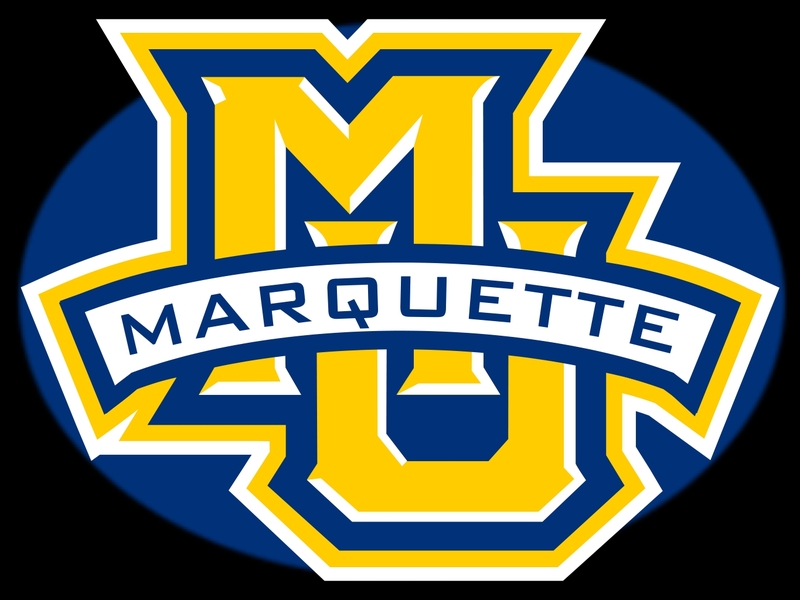 Natisha Hiedeman played all 40 minutes and led Marquette (27-8) with 18 points. 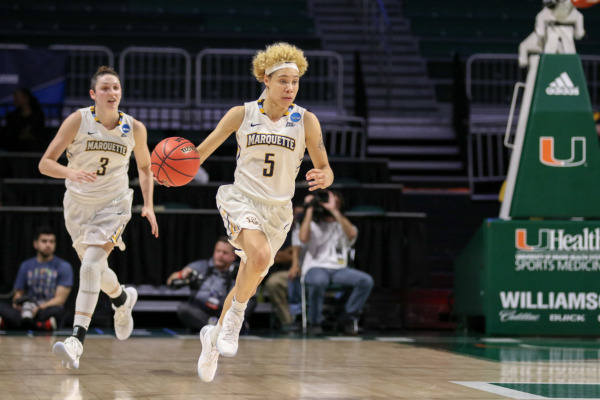 It was the last chance for Hiedeman, who is one of five seniors on the squad (Allazia Blockton, Danielle King, Amani Wilborn and Erika Davenport). The Marquette Golden Eagles came from nine points down in the final minutes to knock off Rice 58-54 in overtime in the opening round of the Women’s NCAA Tournament on Friday in College Station, Texas. Natisha Hiedeman scored 13 points and Allazia Blockton had 12 points to lead the Golden Eagles (27-7). Hiedeman secured the victory by making a pair of free throws with 1.3 seconds left in overtime to put the Golden Eagles up by four. Marquette is in the NCAA Tournament for the third straight season and will face Texas A & M in the second round on Sunday. After struggling down the stretch during the regular season, it was no surprise to see the Marquette Golden Eagles suffer a 83-64 loss to 12th-seeded Murray State in the first round of the NCAA Tournament on Thursday in Hartford, Conn.
Marquette (24-10) dropped six of its last seven games after being ranked as high as 10th in the Top 25 polls back in February. The Racers (28-4) got 17 points, 16 assists and 11 rebounds from star guard Ja Morant to win their 12th straight win. He’s the first player to record a triple-double in the NCAA Tournament game since Draymond Green with Michigan State in 2012. Morant is just the 8th player to achieve the honor. Markus Howard had 16 points in the first half and 26 for the game. Sam Hauser added 16 points for the Golden Eagles, who managed to shoot just over 32% as a team for the game. 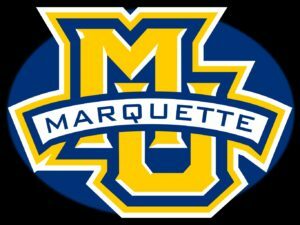 Marquette hasn’t won a game in the NCAA Tournament since 2013. Racers coach Matt McMahon said they wanted to make the Golden Eagles a one-on-one team. Their game plan worked. Murray State will move on to the second round and face Florida State on Saturday for the right to move on to the Sweet 16. The last match that Barry Davis coached at the University of Wisconsin turned out a winner. Day three of the 2018 NCAA Championships in Cleveland wrapped up on Saturday and Wisconsin freshman Evan Wick wrapped up third place at 165 pounds, clinching the finish with by pinning Lock Haven’s Chance Marsteller. Davis himself, received a standing ovation from the crowd, recognizing his 25-year career at Wisconsin as he walked off the mat. Wisconsin finished 17th in the NCAA Tournament. Four Big Ten teams captured the top four spots in the final standings, with Penn State repeating as champs. Ohio State, Iowa and Michigan finished second through fourth, respectively. Wick’s only loss in the NCAA tournament came to Virginia Tech’s David McFadden, 3-0 in the quarterfinals. Wick finished his first NCAA Tournament with a 5-1 mark. Six teams from Wisconsin were picked to take part on the NCAA Division III men’s and women’s basketball tournaments which start later this week. In the men’s field, WIAC champion Stevens Point (19-8) takes on North Central (19-8) at St. John’s University (Minnesota) at 5:30 p.m. this Friday. Oshkosh (20-7) faces Marietta College (21-6) at Whittenburg College in Springfield, Ohio at 5:30 p.m. on Friday. Platteville (22-4) will host Monmouth (20-7) in the first round at 7:30 p.m. on Friday. In the women’s Field, Whitewater (24-3) will host Superior (23-4) at 7 p.m. Friday. Wisconsin Lutheran (24-3) faces No. 10 Chicago (23-2) on Friday in St. Paul, Minnesota. 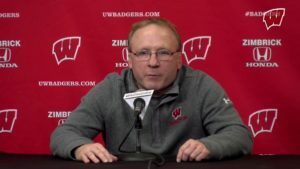 The Wisconsin men’s soccer team blanked 12th-seeded Notre Dame 1-0 in the second round of the NCAA Tournament on Sunday night in South Bend, Indiana. The last time the Badgers advanced to the NCAA tournament second round in 2013, they lost in South Bend 4-0, but the Badgers rewrote history tonight. Senior Mike Catalano scored the decisive blow in the 95th minute to give the Badgers the win. Big Ten Offensive Player of the Year Chris Mueller, who leads the nation in assists (18), set up Catalano for the game winner. Catalano has now scored in both of Wisconsin’s NCAA tournament games and holds eight goals on the season. The win puts the Badgers into the Sweet 16 for the third time in school history. The Badgers will play fifth-seeded Akron in the Sweet 16 on Nov. 25 at 3 p.m. Central Time in Akron. The Wisconsin women’s soccer team rolled to a 5-0 win over Toledo in the opening round of the NCAA tournament at the McClimon Complex in Madison on Friday night. The two teams were scoreless at halftime, but the Badgers exploded in the second half and tallied all five of their goals in a span of just 19 minutes. Wisconsin native Grace Douglas scored twice for the Badgers, who also got goals from freshman Lauren Rice, Sophomore Jordan McNeese and sophomore Allie Winterfield. Wisconsin goalkeeper Caitlyn Clem recorded her 10th shutout of the season, which ranks seventh in program history. The Badgers head to South Carolina to face the No. 1-seeded Gamecocks on Friday in the second round of the NCAA tournament. 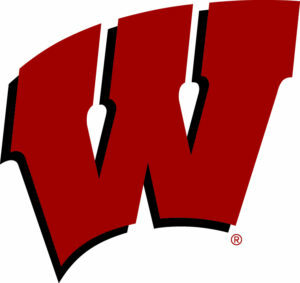 The Wisconsin men’s soccer team knocked off top-seeded Michigan, 4-0, in the Big Ten semifinals on Friday in Westfield, Indiana. The Badgers (10-4-4) will face top-ranked Indiana (15-0-4) in the title match at 11 a.m. Sunday. Chris Mueller, Mark Segbers, Tom Barlow and Alex Alfaro all scored for the Badgers. Goalkeeper Philipp Schilling recorded his fifth shutout of the season. Four games will be played on Thursday night as the NCAA Tournament resumes with “Sweet 16” matchups.